Located in Whitstable, nr Canterbury, Kent. Sage Installations design, supply and install a variety of size and shaped conservatories. Our conservatory designs will make the conservatory look like an architecturally natural expansion of your home. We use the same security in conservatory doors and windows as we do in our windows and entrance doors, using the internal beading technique the door and windows panels are very secure. Sage Installations also excel in conversions as well. If you have a conservatory but want it changing around, no problem, Sage Installations can help with all of that! Orangeries are a great way of creating a living space that is usable all year round. Built with a higher brick base, orangeries can often be warmer in the winter than a fully glassed conservatory giving you a usable living space all year round. We can create bespoke Edwardian conservatories to suit all tastes and budgets. Options to customise your conservatory from roof finials to integrated speakers. 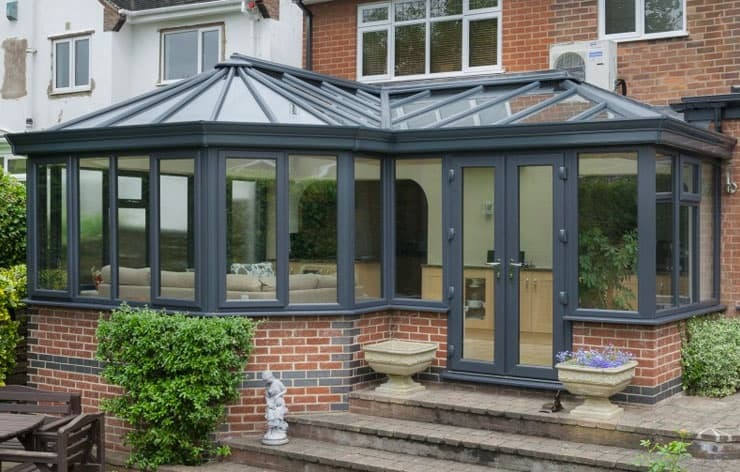 Your conservatory should be a seamless continuation of your living space. A comfortable, light and pleasant place for you to enjoy. Our Edwardian style conservatories can be built to any size to complement your property and maximise the space available to you. To help your create a space unique to you, we have lots of customisable design options. In addition to decorative finishing touches such as roof finials, you can choose from a range of glazing options and clever features like integrated speakers. 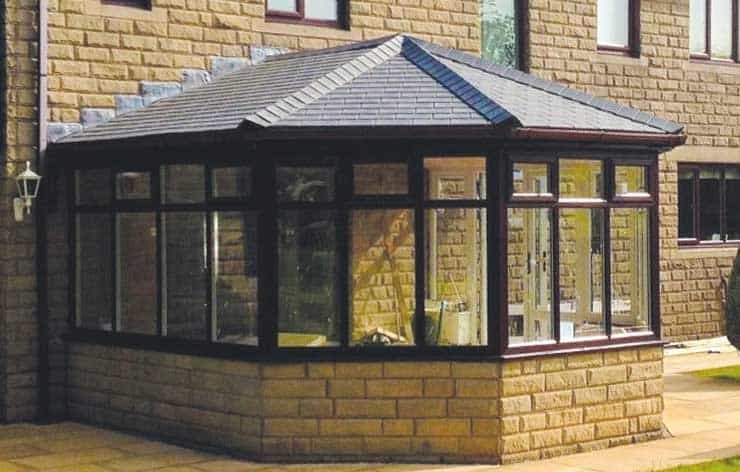 3 or 5 faceted Victorian conservatories designed fit your budget and space. Whether its Georgian, leaded or stain, we’ll help you find the perfect match. 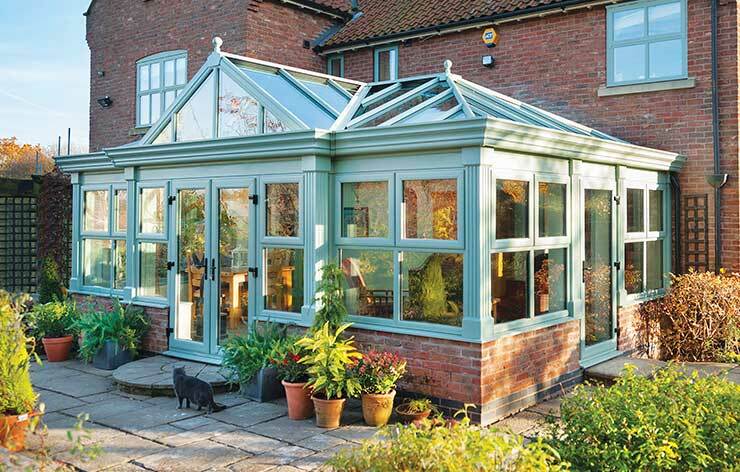 Co-ordinated colours – Create the conservatory of your choice, contemporary or traditional. Excellent thermal efficiency – Our insulated roofing system ensures maximum heat retention and light diffusion. 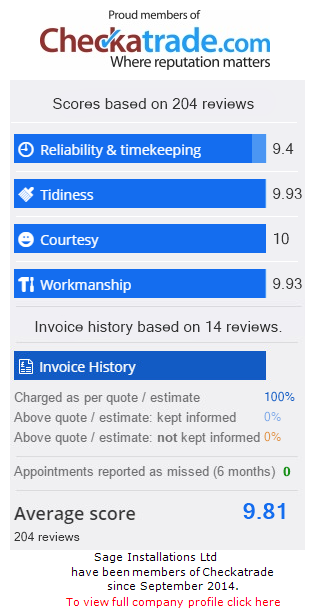 Reliable assured service – We have the largest network of accredited local partners in the UK. A lean-to conservatory is a simple, fuss-free building that runs along the back of your property. With a minimalist style and clean lines, it’s a simple way to link your interior space to your garden and maximise the space you have available. It’s also one of the cheapest types of conservatories available on the market. Despite this, a lean-to conservatory from Sage Installations offers outstanding performance, giving you a space you can enjoy for years to come, whatever the weather. The pitch of the roof can be easily adapted to fit your property. With one wall already built, they are quicker and cheaper to build. Simple design to maximise the amount of floor space and light. – Can be finished with gable ends or be hipped back diagonally from corners. • Excellent thermal efficiency – Our insulated roofing system ensures maximum heat retention and light diffusion. • Reliable assured service – We have the largest network of accredited local partners in the UK.